About 10 per cent of the office space at Guoco Tower in the integrated Tanjong Pagar Centre project, and 60 per cent of retail space, have been committed some 6 months ahead of the project’s completion. Guocoland shared these figures on Wednesday at a topping-out ceremony, graced by Minister for National Development Lawrence Wong, for the S$3.2 billion flagship project. 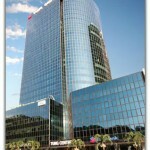 Guoco Tower has a total net lettable area (NLA) of 890,000 sq ft. The 10 per cent of office lease commitment includes the space to be occupied by GuocoLand Group and Hong Leong Bank, both members of Hong Leong Group. GuocoLand is consolidating its various operations from Tung Centre at 20 Collyer Quay and Robinson Centre into its flagship project, whereas Hong Leong Bank is relocating from 20 Collyer Quay. The exact floor space they will each take up at Guoco Tower is not revealed. Other tenants who have signed up to lease space at Guoco Tower include Open Link, a trading and risk management solutions provider; DNB Asia Ltd, a shipping and offshore financing solutions provider; and global workplace provider Regus. If current negotiations with potential office tenants bear fruit, leasing commitments for office space at Guoco Tower will go up to 50 per cent. Including Guoco Tower, over 3.5 million sq ft of total known CBD office supply is coming onstream this year. GuocoLand’s Singapore managing director, Cheng Hsing Yao mentioned that there is a healthy pipeline of interest for Guoco Tower, and leasing commitments are expected to pick up in the next few months. At the briefing on Wednesday, he highlighted that the office leasing market, while not as exuberant as a few years ago, is “not a dead market”, with leasing activities still ongoing. With the higher efficiency offered by large column-free floor plates (27,000-30,000 sq ft) at Guoco Tower, a more diversified tenant mix has also appeared. Mr Cheng noted that this is unlike a few years ago, when a single mega tenant could occupy half or three-quarters of a project. Guocoland also highlighted the strong value proposition of the Tanjong Pagar precinct, that is undergoing a rejuvenation with other developments coming on-stream. Once fully operational and occupied, Tanjong Pagar Centre is estimated to have 13,000 to 14,000 people working and living there or visiting each day, GuocoLand president and CEO Raymond Choong observed. By the end of 2016, the catchment population in the immediate vicinity and within a 500-metre walking radius of Tanjong Pagar Centre is projected to reach more than 118,000 persons. “These figures further demonstrate and reinforce the potential of Tanjong Pagar Centre as well as ensuring its success,” Mr Choong said. Most of the committed leases and leases under discussion are with companies already in operation in Singapore. Leasing commitments are expected to start accelerating as the project nears completion, with negotiations with sizeable occupiers currently underway. Office occupancy rates in Singapore now hover above 95 per cent, with rents for prime CBD office space averaging S$10.28 per square foot per month as at end-2015, after a 10 per cent decline for the whole year. The current 60 per cent take-up rate for retail space at Tanjong Pagar Centre, whose retail component spans 100,000 sq ft in total NLA, includes 31,000 sq ft of anchor space taken up by gym operator Virgin Active. 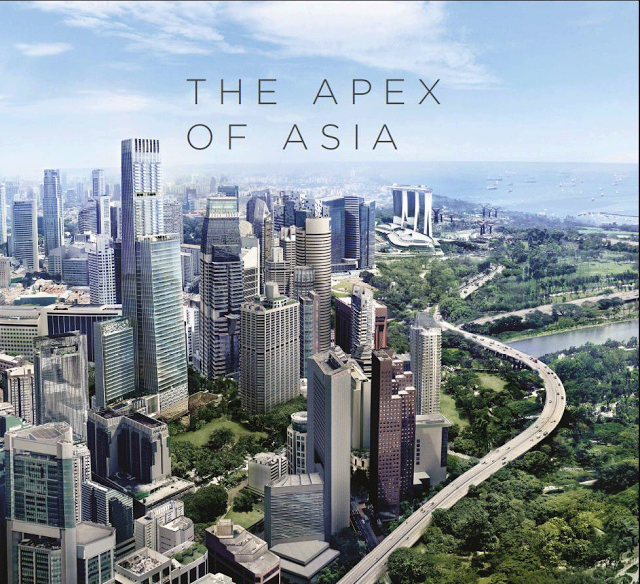 Tanjong Pagar Centre will open in phases from the second half of 2016. 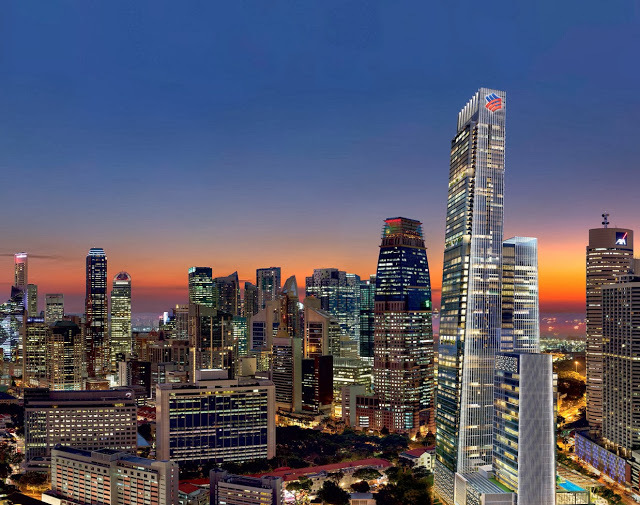 It will also house a 5-star hotel, luxury residences, and a 150,000 sq ft Urban Park, and will be Singapore’s tallest building at 290 metres when it completes in mid-2016. 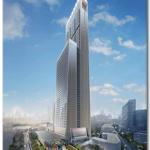 The previous week, GuocoLand announced the appointment of Accor Hotels to manage the 222-room Sofitel Singapore City Centre at Tanjong Pagar Centre. The 181-unit luxury homes, renamed Wallich Residence, was soft launched in 2014. Some 16 units were sold at an average pricing of S$3,100 psf. Mr Cheng said Wallich Residence will be re-launched later this year. 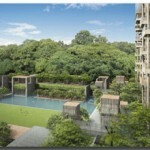 He foresees demand picking up when the project is completed, as was seen in the group’s earlier luxury projects Leedon Residence and Goodwood Residence. This entry was posted in Guoco Tower on February 4, 2016 by Guoco Tower. The residential section of Guoco Tower is Clermont Residence. 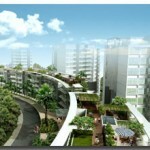 It bids fair to be the highest condominium in Singapore. Guoco Tower is located right above the Tanjong Pagar MRT Station. The 78-storey building comprises 38 storeys of grade-A offices, over 200 luxury apartments above the offices, 6 storeys of shops and F&B space, and a luxury business hotel. Apartments start at the 40th floor, 180m above sea level, which is equivalent to 50th floor units elsewhere, as the offices below it have higher floor to ceiling distances – almost 4m. The top floor units reach 290m above sea level, which almost guarantees sweeping unblocked views around. 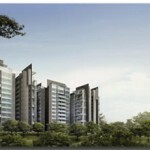 At that level, prices start from around $2,800 PSF for north facing units. These get panoramic views of the city skyline. Units facing south to the sea start from around $2,900 PSF. The Clermont Residence showflat is available for viewing only on weekends. Appointments are encouraged. This entry was posted in Guoco Tower on January 21, 2014 by Guoco Tower. Guoco Tower, a soaring 290m high skyscraper, will be the beacon that will mark the new Tanjong Pagar Centre. This new integrated development with a floor space of 1.7 million sq ft will comprise premium offices, retail shops and residential units linked to a luxury business hotel. Guoco Tower, a 38-storey, Grade A premium office tower. TP180, offering exclusive limited collection residences above Guoco Tower with unmatched city and sea views. It will be the tallest homes in Singapore, starting at 180 metres (equivalent to starting from the 50th floor) and reaching up to 290 metres. A luxury business hotel linked to the main tower. Six levels of F&B and retail space directly linked to Tanjong Pagar MRT station. A community space integrated with the Tanjong Pagar City Park that will offer a vibrant place for recreation and events. The offices at Guoco Tower are not for sale. Good quality well located strata offices available for sale are rare, especially those in sizes small enough to be swallowed by retail investors. The good news is that Far East Organisation will be launching one such development in early 2015. This is at Woodlands Square in the Woodlands Regional Centre, the new key economic cluster that will form our northern gateway into Malaysia. This project will comprise 2 office towers with retail at the ground and basement levels. Far East intends to keep one tower for lease, but plan to sell offices in the other tower. For details on this project, head over to Woods Square. This entry was posted in Guoco Tower and tagged tanjong pagar centre, tp180 on May 3, 2013 by Guoco Tower. Tanjong Pagar Centre is a fusion of premier office, residential, retail and hospitality spaces designed in the sleek signature style of Skidmore, Owings & Merrill (SOM), one of the most recognised architectural firms globally. The design of Guoco Tower and TP180 epitomises the concept of a liveable vertical city that meets all the needs of urbanites in a single location. Mao Tower in Shanghai, and One World Trade Center in New York City. Tanjong Pagar Centre is also a benchmark for environmental sustainability. It has already garnered several awards for its eco-friendly features. Guoco Tower has achieved the LEED (CS) (Leadership in Energy and Environmental Design) Platinum Precertification. 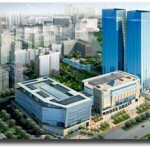 LEED (CS) is an internationally renowned award recognising eco-friendly buildings. 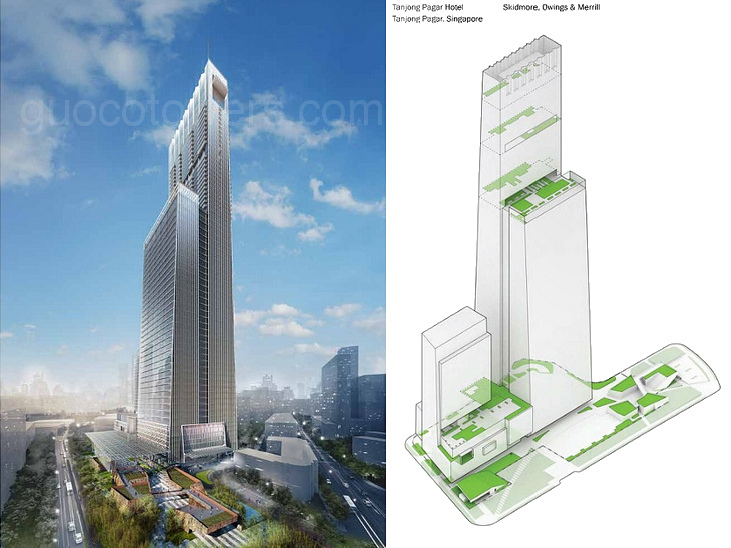 Guoco Tower, together with the hotel and retail components, has been given the Singapore BCA (Building and Construction Authority) Green Mark (Platinum) award, while TP180 will hold a Green Mark (Gold Plus) award. This project was launched for sale in December 2013 to a generally muted response, coming as it did on the heels of the runaway success at Duo Residences. The next similar project will be the Marina One condo at Marina Bay, which is selling at a lower pricing than for Guoco Tower. For the first quarter of 2014, several new suburban condominium developments will be launching for sale, including Panorama in Ang Mo Kio, Riverbank @ Fernvale, and Rivertree Residence. Closer to the city, on the fringe fronting Kallang River, but within walking distance of Lavender MRT station, will be a new freehold condo called Kallang Riverside condo. To launch in the 2nd Quarter of 2014, at the same time as another much anticipated new condominium project right next to Queenstown MRT station. 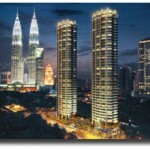 Called Commonwealth Towers, it will be by one of the most established developers, Hong Leong Holdings. Projects that launched in Q3 of 2014 include Seventy St Patricks that sold out 65% of its units at the Preview. Other projects that are anticipated to launch soon, possibly in the last quarter of 2014 are Marine Blue condo, also a freehold project in Marine Parade and Tre Residences at Aljunied MRT Station. 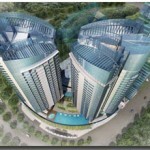 Another one of interest is ParkSuites Condo, a mixed development opposite Henry Park Primary School. It would interest parents seeking to own an address within 1km of Henry Park for an affordable price, as the units here will be mainly small SOHO units. Fast forward to 2018: following the quieter years of 2013 to 2016, the market picked up steam in 2017, when almost all the existing projects practically sold out all their units. This prompted developers to replenish their land banks through a stream of en bloc or collective sales, that turned into a veritable river, as owners of older condominiums jumped enthusiastically into the tide. Several new launches resulted, starting in early 2018. Some of those included Affinity at Serangoon, Garden Residences, and Verandah Residences (that sold out within 3 months of its launch). For the 2nd half of 2018, upcoming launches include Arena Residences at the Guillemard area on the city fringe near to Kallang Stadium, and Parc Esta just across from Eunos MRT station, on the site of the former Eunosville HUDC flats. This entry was posted in Guoco Tower on May 3, 2013 by Guoco Tower. 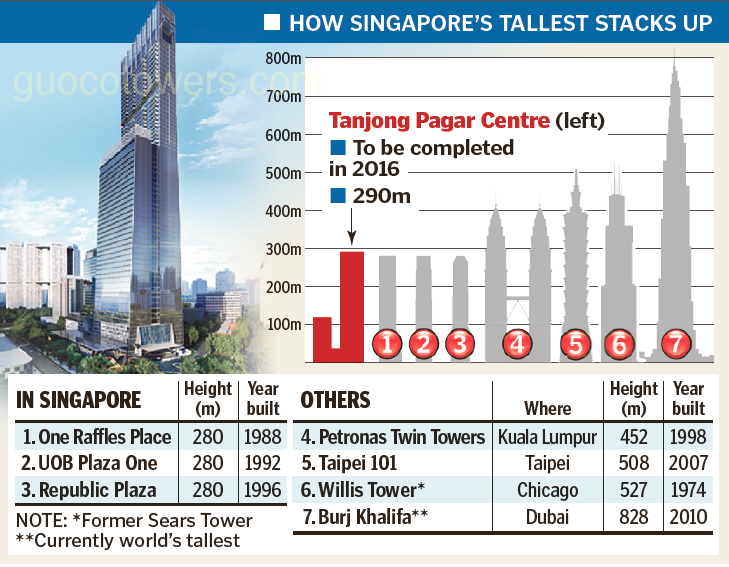 Report on Singapore’s tallest building to be built above Tanjong Pagar MRT station. This entry was posted in Guoco Tower and tagged guoco tower video, tanjong pagar centre on May 2, 2013 by Guoco Tower. The upcoming mixed-use development to be built on top of Tanjong Pagar MRT station is to be called the Tanjong Pagar Centre. It comprises a soaring skyscraper, Guoco Tower, with a residential component at the top called TP180, and a podium block housing retail spaces. 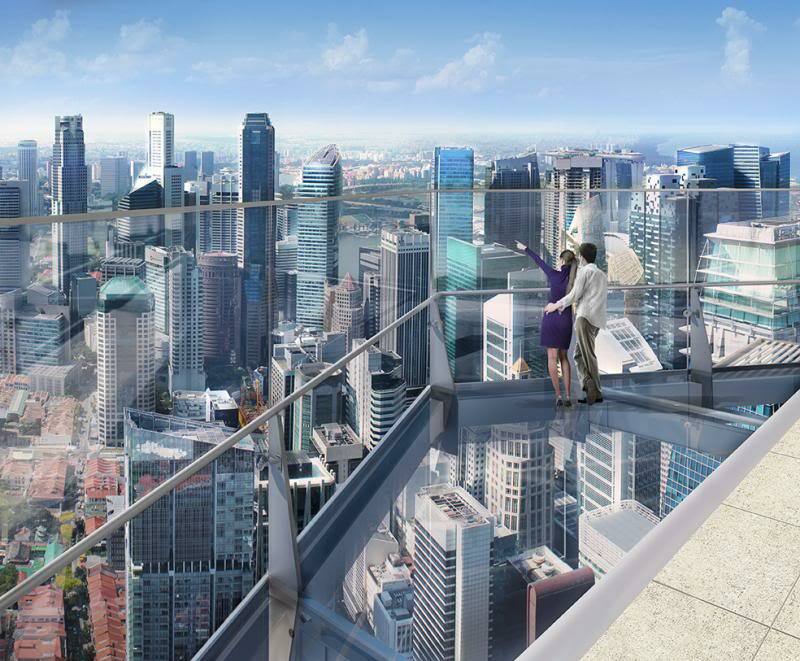 The 64-storey Tanjong Pagar Centre will stand at 290m and will be Singapore’s tallest building by the time it is completed in 2016, said the developer, Singapore-listed GuocoLand. This means it will edge out One Raffles Place, Republic Plaza and United Overseas Bank Plaza One, which are all 280m high. It will also trump Singapore’s tallest residential skyscraper, the 245m Marina Bay Tower, which is part of The Sail @ Marina Bay and stands at 70 storeys. The maximum building height allowable in Singapore is 280m but GuocoLand manage to obtain permission to build Tanjong Pagar Centre up to 290m. Tanjong Pagar Centre will consist of a tower housing Grade A office space (Guoco Tower), residences (TP180) and retail space. This will be linked to a luxury business hotel housing about 200 rooms. Its office section will take 38 storeys and have 850,000 sq ft of net lettable space. As the office units have higher ceilings than the residences, the height of the office tower is roughly that of a 50-floor residential building. This portion, TP180 will be on top, taking up the 39th to 64th storeys. It will have nearly 200 units ranging from one- to four-bedders and penthouses. TP180 starts at the 180m mark and reaches to 290m, eclipsing Far East Organization’s 62-floor condominium Altez nearby, that is 250m high. GuocoLand has said the homes will be priced at a premium to the surrounding area. HSR research head Elaine Chow thinks that they could be sold at above $3,000 per sq ft (psf), given the project’s location directly above the Tanjong Pagar MRT station, and view of the city skyline. 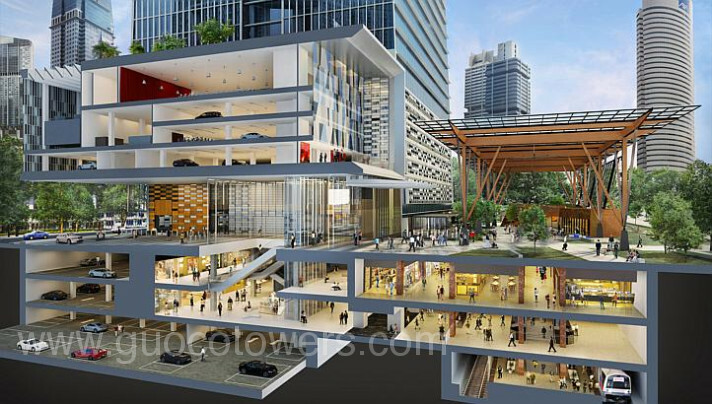 The 100,000 sq ft of retail space in Tanjong Pagar Centre will be integrated with the MRT station below. Tanjong Pagar Centre is GuocoLand’s first mixed-use project in Singapore, and was estimated in 2011 to cost $3.2 billion, including cost of land. According to Guocoland, construction cost alone is around $700 million. GuocoLand, controlled by Malaysian billionaire real estate developer Quek Leng Chan, paid $1.71 billion – or $1,006 psf per plot ratio – for the white site at the corner of Choon Guan and Peck Seah Street in February 2011. This entry was posted in Guoco Tower and tagged guoco tower, tanjong pagar centre, tp180 on May 2, 2013 by Guoco Tower.